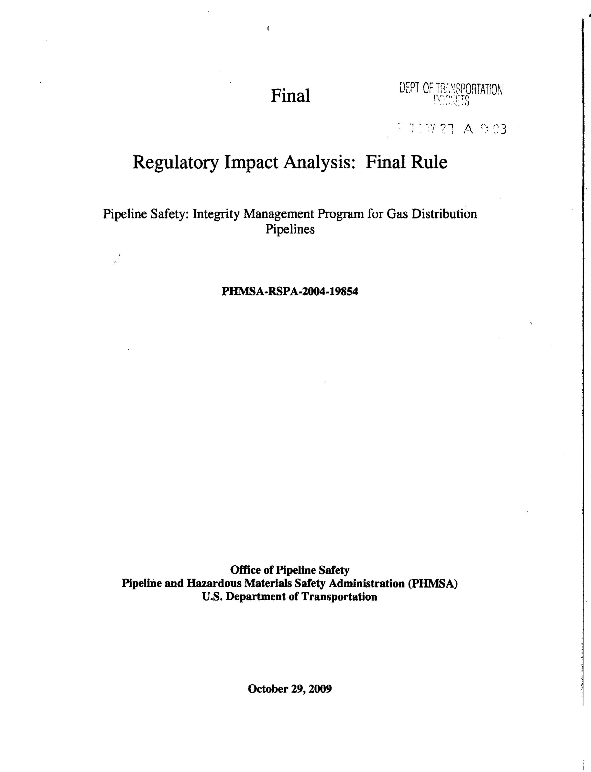 PHMSA made an adjustment to the expected value of property damage occurring from 2001 through 2005, since some of the property damage was caused by Hurricane Katrina in 2005 (an outlier), which skewed the damages above expectations and which this rule was not designed to mitigate. 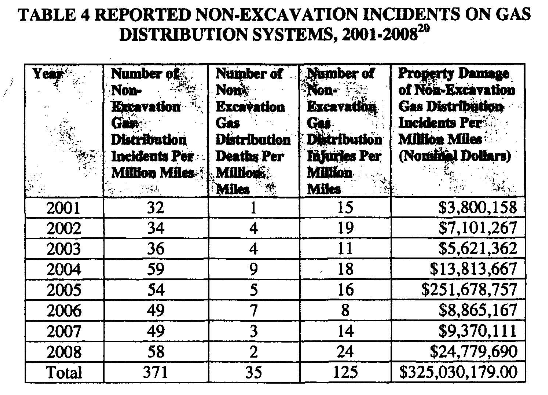 A more accurate expected value of benefits, perhaps reflective of a longer timeline and taking into account risks and consequences not experienced from 2001 through 2005, would show a higher expected benefit of this rule} It is possible for high-consequence accidents to occur, in which there are a disproportionately large number of casualties (Le., deaths and serious injuries), since a portion of gas distribution piping is located in densely populated areas with schools and businesses containing a large number of people. cause or whether there was fIrst a fIre that then ignited the leaking propane. result of gas line leaks. occurred worldwide in which 5 or more persons were killed, resulting in 1,971 fatalities. resulting estimate of electrical energy equivalent is 244.3 GWe-yr.
that such an event would occur. expected (i.e., there is a 48.6-percent chance of one event occurring in 20 years).